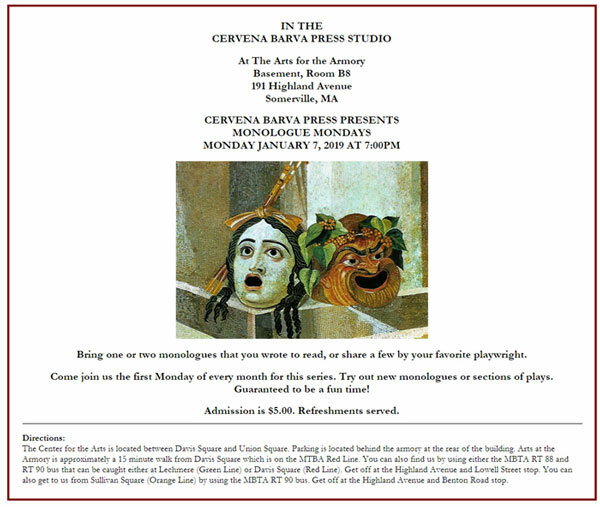 Welcome to the Cervena Barva Press Newsletter for January, 2019. Last year, we added to our staff. In case you missed it in our postings, here is the complete list of who is part of Cervena Barva Press. Cervena Barva Press has grown so much so this is so wonderful to have all these wonderful writers and friends be a part of the press. I retired from my job as Clinical Director/Case Manager in Addictions on November 30th. I have been working full-time since moving out here in 1984. I am so glad to be done with my job. I will miss working with the clients. Retirement will help me get more press work done and catch up. I also will have time to write. Wow! I really look forward to this!!! Cervena Barva Press has always been a very active press and more events will be happening in the Cervena Barva Press Studio. Once a month, a new series started called, "Pastry with Poets." In November, we had our first one with Richard Hoffman, who taught about Villanelles. It was wonderful! "Richard Hoffman is an experienced poetry teacher who knows how to explain the villanelle through examples, including his own published work. The last hand-out with the "secret formula" is a great takeaway. Not since my graduate work have I seen this lesson plan so well executed." "Attending Richard Hoffman's Villanelle Workshop opened my poet's mind to the rich possibilities of this well-established form. The concept of the villanelle being based on dancers leaving and returning to each other is so appealing." "Poet/Professor/Philosopher Richard Hoffman taught me so much! He didn't teach dry technique. Instead he got to the heart of what a Villanelle is, and what it can convey. So inspiring! I started writing a Villanelle the very next day!" "I'm thrilled to have participated in Cervena Barva Press' "Pastry with Poets" featuring Richard Hoffman on the art of the villanelle. Discussing the history of the form, reading classic and contemporary examples of the villanelle and examining the form's pattern made for a thorough, engaging, and eye-opening workshop. I couldn't think of a better way to spend an afternoon with poetry! Richard Hoffman was delightful and Gloria Mindock was a gracious host. I can't wait for the next Pastry with Poets." Workshops offered will be limited in attendance and affordable. It is $10.00 to attend these once a month poetry and fiction workshops, held on a Saturday morning from 10:30-11:30 AM. Our next one will be in February with Lloyd Schwartz. Date to be announced soon. He will be giving a workshop on "Reading Your Poems Aloud." Writers often reach wider audiences through readings than through publication. Yet most writers are not trained to read their works aloud. Even well known writers may read mechanically, monotonously, with too little-or too much-expression. In this workshop, participants discuss what makes a good reading and explore the wide range of successful reading styles. They each read one of their own poems as if they were reading in public then, after supportive feedback from the class under the guidance of the instructor, gets to re-read the poem with fresh insight. Registration will be announced soon. My two-year term as the Poet Laureate of Somerville, MA has ended. It was a wonderful experience. An article, written by Karen Friedland was published in the Somerville Times. Check it out! 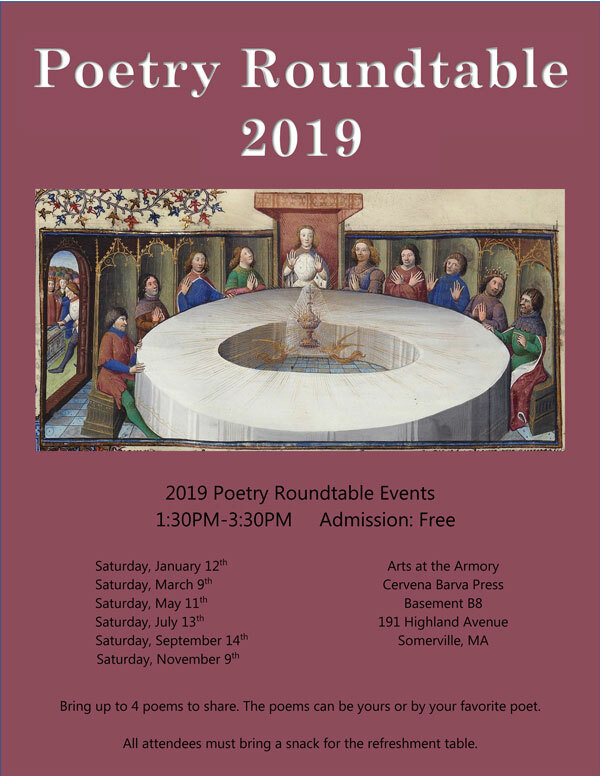 One event I did as Poet Laureate will continue, the Poetry Roundtable. Here is a list of the dates. Come join us! Bring 4 poems to read of yours or by your favorite poet. This is open for anyone to attend. It is a relaxed atmosphere and a lot of fun! Come read your favorite monologue or one that you wrote. Open mic for poetry, music, fiction. 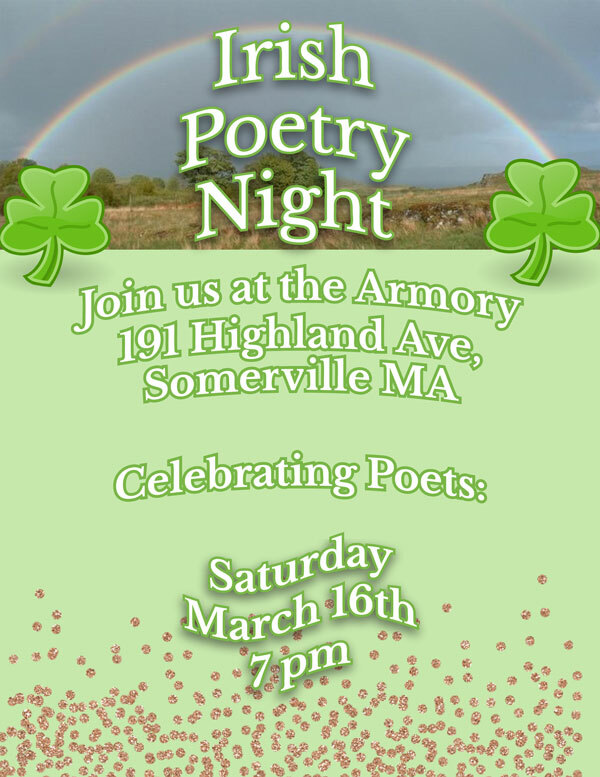 Irish Poetry Night held on March 16th, not on St. Patrick's Day though. Join us and read the poetry of Irish writers. Bring your own and we will supply poetry too! The Cervena Barva Press Reading Series will continue. We have only a few spots open so contact me if interested in reading. January 26th, 2PM in the Cervena Barva Press Studio. I would like to thank those who attended the book auction in December. What fun it was!!! I plan on doing this again sometime soon! I would like to thank my interns who just completed their internships. Gina Viglione from Simmons College and Sabrina Garvin and Caroline Janes from Lesley University. Starting this month, I welcome a new intern, Jackie Schreuer from Emerson College. 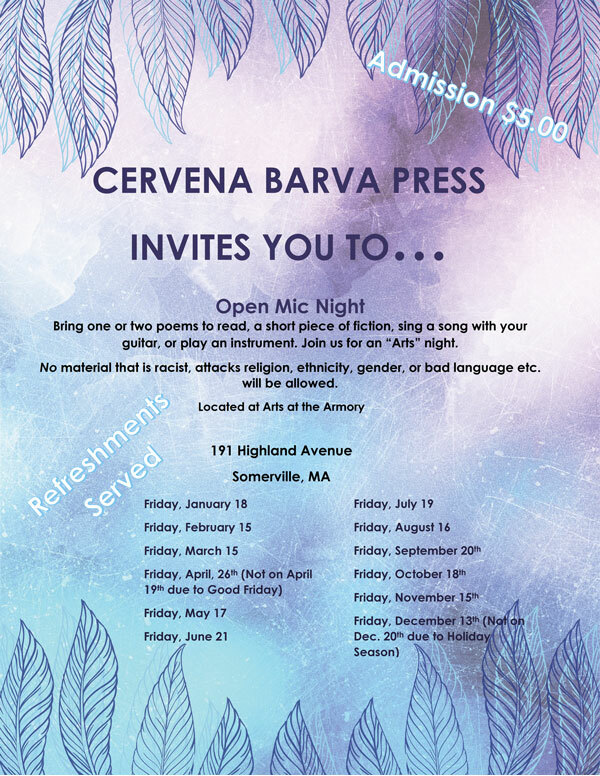 Cervena Barva Press depends on book sales, attendance at events and workshops, volunteers, donations of books, and money to keep going. Your support in whatever capacity is always appreciated!!!! Help keep us going!!! We are one of the most active presses in the country bringing you so many books and events! 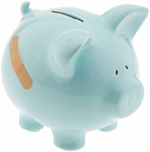 Donate money using PayPal here! Interviews will start again soon in our newsletters. Here are some book reviews. We apologize for the delay and any formatting issues of some of these reviews being published. The newsletter will be monthly again so there will be no more delays. that curled with the ease of smoke. Sure, the characters in WINTER SKIN can be rough around the edges, but they're "decent," interesting companions who in the end only mean well. In difficult times, you're glad they're around. of weight from the ground. If Robert Lee Kendrick keeps writing poems like this, he may one day find one or two hanging in the Louvre. In his recent book of poems, "CONSULTING WITH THE SWIFTS, NEW AND SELECTED POEMS 1982-2016," Lee Slonimsky puts together poems that span across three decades. These are poems about nature, trees and lights but also atoms and electrons, city workers and Pythagoras, the great mathematician who inspires many of these poems. Slonimsky writes superbly in form, many sonnets, yet is not stifled by it. The poems all feel immediate, warm and inviting. I particularly like how he engages the reader on both the intellectual and emotional levels, sometimes playfully. Here is the poem "The Way to Exorcise Demons" from an early collection "Ghost Along the Hudson:"
is to let them leave the body in sleep. I have to clean him off." How the poem tantalizes in its psychological tension, man, beast and spirit are joined in the act of eating a steak! The relationship between man and nature plays out in many of these poems. Consider an excerpt from the recent collection "Consulting with the Swift," the poem "The Buried Birthplace of all Whales:"
you could become a species too! that here's a place beyond all time." the craft of wind and atoms: art of earth." of course, but not entirely my ruin." "You've dared the new, a different kind of flight. Your orbit's jail is gone. Go charge the light." but rather to connect until he's gone. Mere notice makes the ancient live, brand new. Lee Slonimsky's poems make us see our close common bond with nature. His poems are both modern and classic, insistent on the poet's affinity for tradition but aware of his own time and place. In reading, these poems refresh the mind and spirit, and we may be inspired to pause and look around. The Narrative Possibilities of Coral is a chapbook released in May 2017 by Priscilla Webster-Williams. Webster-Williams grew up in Chicago and moved to Boston to study poetry, earning her Master of Education from Cambridge College. The Narrative Possibilities of Coral contains a collection of poems that relate to Webster-Williams's past experiences, including a substantial amount of work dedicated to her early childhood. The chapbook opens with a poem that reflects on the mythical origins of coral: "[â€¦]coral was born when Medusa's head was severed and her blood mixed with sand". Webster-Williams then lists off the ways in which coral plays a role in her day-to-day life, including the fact that her house was painted a "Sunset Coral Brick", and that "coral-colored roses covered my mother in her casket". She does not mention coral again until the final poem of the chapbook, which she relates back to her mother and childhood: "Mother says I am a young sea horse who swims in bright green pajamas to her coral ocean bed". By beginning and ending her chapbook on such notes, the reader cannot help but compare coral, consciously or otherwise, to the events that occur in the poems Webster-Williams presents. As the speaker grows and learns from her experiences, coral reminds the speaker of her past, so that she may never forget her origins. Her chapbook has received praise from other artists such as Joseph Bathanti, poet laureate (2012-14) of North Carolina, who commented that it was "a wonderful meditation on the past informed by the present, the kind of retrospective epiphany a poetry refracted through memory affords", and Betty Adcock, a North Carolina poet and professor, who remarked that Narrative Possibilities was "A story as sturdy and intriguing as a novel, full of mystery and sorrow that yet wears the colors of celebration". Webster-Williams has had other poetry published in Ad Hoc Monadnock, Soundings East, Yankee, Unlocking the Poem, Pinesong, Iodine Poetry Journal, and Main Street Rag. The Narrative Possibilities of Coral is a quick and accessible read for a wide audience, as the poems themselves are mostly narrative and simplistic. Although she likes to use metaphors to drive her point, it is relatively easy to recognize what she is trying to get across. Her biggest strength is that she is able to relate her life story while still remaining in poetic form. Furthermore, because her style is colloquial and she tends to use her experiences to communicate about universal truths, readers can easily relate to the situations that she lays out on the pages. Her poems relay a variety of themes, including nostalgia, abandonment, abuse, innocence, and fear. Webster-Williams's work in Narrative Possibilities is simultaneously dreamlike, yet concrete, as she continues to outline her rocky past. The sheer universality of the poetry in this chapbook allows every reader to find a poem that they can connect to. The Scarlet Letter was a novel published in 1850 by American author Nathaniel Hawthorne. Hawthorne was born on July 4th ,1804 in Salem, Massachusetts, and died on May 23rd ,1864 in Plymouth, New Hampshire. He lived in New England shortly after the independence of the United States from Great Britain, and his texts reflect the traditions and perspectives of the time period. This novel is no exception. The Scarlet Letter centers on a young woman named Hester Prynne, who has been recently convicted of adultery by the town of Boston. Her punishment is to display a scarlet letter "A" on her chest for the remainder of her life, as well as carry around the physical representation of her infidelity: her illegitimate daughter, Pearl. The father of the child is a mystery to the town, for Hester Prynne refuses to reveal his identity. Hawthorne implicates Pearl's father to his readers, however, and, as the story moves forward, they get insight into the man's consistent struggle with guilt. Hester and Pearl's father represent the sinner who repents and the sinner who silently suffers, and their respective fates by the end of the novel are telling. The novel ends on a heartbreaking note, which is indicative of Hawthorne's views on sin and repentance, as well as societal customs. The author's style is formal and at times even convoluted, further illustrating the rigid structure of nineteenth century New England. The novel is dense due to the formal diction and syntax, but with careful attention to detail, the intellectual reader can engage closely with the story. If there is a moral present, it is that all humans are sinful, but if they make the conscious effort to repent for their sins, they will be able to eventually live a fulfilling life. Hester, who has been punished for her crimes, feels "free" by the end of Hawthorne's story, and she goes about the rest of her life in a peaceful and quiet manner. The Scarlet Letter is overall an appealing novel with a riveting plotline. Its biggest drawback is the extremely formal and dense style, which can make it at times difficult to consume. This book will suit any person that enjoys an authentic "American classic" with a widely disputed reputation. Hawthorne takes the reader on a journey with his characters in a way that feels realistic; he provides a delicate balance between the characters' inner thoughts and their interactions with the outside world. Most importantly of all, the book is filled with emotion, which still bleeds through Hawthorne's toughest linguistic patterns. The Scarlet Letter is viewed as a classic for a reason; Hawthorne's literary talent truly prevails in this novel. If Charlotte Bronte wrote science fiction Brightly Burning would be the result. Alexa Donne opens this thrilling young adult novel in the lower levels of a dying spaceship with a young engineer and English teacher, Stella Ainsley. Another Ice Age has covered the earth and to survive the countries of the world launched ships into orbit around the falling earth. However, the spaceships have begun to fall into disrepair and resources are running out. Humanity is still unsure if they can survive on their homeworld, but they have grounded several of the worse-off farming ships. No one has heard from the ship that went to earth and little orphan Stella and her ship, the Stalwart, are next. She lands a job as both governess and engineer on a small private ship, the Rochester, one of the many small ships owned by the absurdly wealthy. While the Rochester has its perks like no water rations, real meat, real paper books, gorgeous views of the stars, access to the entire Library of Congress, and the fellow orphans, handsome Captain Hugo Fairfax and his cute little sister, Jessa, Stella's charge, it also has its mysteries. Why does it orbit the moon? What is the true purpose of Lieutenant Poole and Dr. Hanada on this ship? What is that mysterious laughing Stella keeps hearing? What is Hugo hiding and who is trying to kill him? Brightly Burning may be an adaptation of Jane Eyre, but it is not a copy Alexa Donne provides excellent world building, strong feminist characters, and a wonderful romance to make her book a strong stand alone for both those who love Jane Eyre and those who have never read it. The world is quite believable, after a "supervolcano explodes, all the dust it releases into the air blocks the sunlight" (7) which causes an ice age expected to last 200 years, so the human population builds spaceships, so that a wealthy portion of the population can survive along with a few farmers to provide food. If Yellowstone erupts that is exactly what scientists believe will happen. It is not just the big things that make her world building great either, it's the little things like food production, Stella grows up on the largest of the food producing ships and mentions that before going to the Rochester she has never had meat because animals take up a lot of valuable resources and space, so only the exorbitantly wealthy can afford it. This waste exemplifies the social structure; money, the survival, and pleasure of the wealthy are the only things that matter, even if they have to let a food ship go back to the uninhabitable earth, killing a thousand people. No one, except the people at risk seem to care if a few impoverished farmers die, as long as the wealthy survive. From politics, media, inter-fleet travel, and communication to the dangers of long hair on a spaceship, especially for an engineer, Donne thinks of everything. Donne's feminist characters stand out as unique, particularly for a book about romance. Stella makes her own choices, no matter what others think, especially her love interests. When her crush and best friend insists that she stay with him, despite the dangers of the broken ship, high death rate, and the fact that the ship is killing her mentally, to the point that he tries to guilt trip her, "So your solution is to leave? To leave me behind?" (20) She stays on her own path, even though it hurts. She does what is right, what is best for her, and she never falls all over herself to please a man, even one she thinks might be her true love. Stella is not the only feminist character either. Many of the high-ranking officials are women, particularly on the Rochester, where the Vice-Captain, Lieutenant, Doctor and Virologist, are all strong independent women. It is rare to see more than one strong female character in books and films, but Donne proves there is still hope in the fight against the single female cast member. It is no secret that Young Adult Romance is a genera in about as much disrepair as the Stalwart. Too many cliches and examples of bad romances, disguised as good ones, have caused Young Adult Romance, while being popular, to be a horrible example, and precedent for young people and their expectations of relationships. Brightly Burning manages to avoid these pitfalls and manages to hold up as a good example of Romance, even to strong critics of the genera. For one thing, Stella does not fall in love at first sight, if anything she fears the brooding, unusual, and often drunk, Hugo, as her new boss in the beginning, which presents its own issues for their power dynamic. Their relationship starts with her saving the life of the nineteen-year-old Ship Captain, and then him ordering her to "join me in the evenings and read here. Consider it our standing appointment" (92). While he may use their 'reading appointment' and the special room build for the books as an excuse to spend time with her, they do become friends, and later romantic interests. When Hugo introduces a prospect of marriage, while saving the family of Bianca from going back to earth, will, with the strict rules of Bianca's family, end Hugo and Stella's friendship, and budding romance forever, and likely force her to go back to the Stalwart. When it comes to choosing between doing the right thing and Stella, Hugo chooses Stella, while finding another option for Bianca and her family, but when Stella is also forced into the same choice, she may not be able to choose him. He is even willing to let her go when it counts and believes that she will return. This book is an excellent choice for anyone who enjoys science fiction, romance, or even eighteenth-century English literature, and one does not have to enjoy Jane Eyre to love Brightly Burning.